If you are one of those unlucky people who got their iPhone screen stuck and no matter what they do it just won't respond to taps and swipes then worry no more we got you covered. 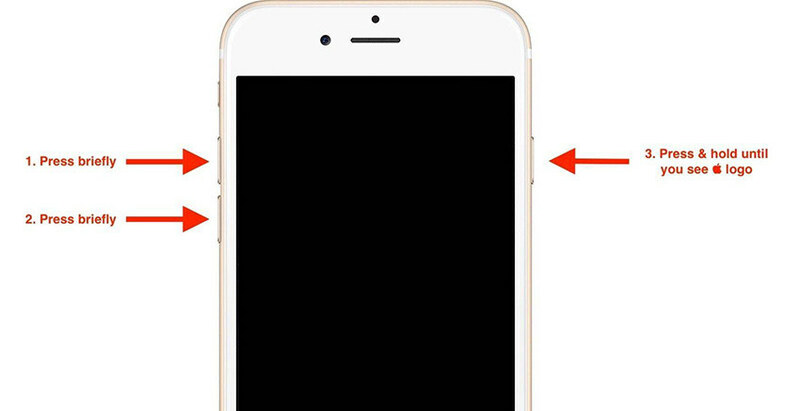 We have enlisted some of the most effective fixes in this article which can be used to fix iPhone screen not responding problem. It is a very common issue many users have been facing it, it can be caused due to number of reasons which include buggy third party apps, software updates and malfunctioning hardware. This can be very frustrating because there is not much to do with your phone if your screen is suddenly freezing. As discussed earlier there are number of reasons why you can be facing unresponsive screen issue on your iPhone. The most common culprits involve unclean scree, wrongly configured 3d touch settings, bad beta update, software glitch, buggy third party app, out of memory, over heating and it can be also due to malfunctioned hardware underneath the screen. However, most of these issues are fixable via simple solutions which are given in this detailed guide. If you are experiencing iPhone screen unresponsive issue, freezing device or completely stuck iPhone then you can try these fixes given below to resolve the problem. As simple it sounds, there can be times when dirt or some other unwanted stuff makes a thin layer on the screen making your screen rough and hard to use. Cleaning the screen properly must be the very first thing you must do before proceeding to further solutions. Step 1: Hold down power button and volume down button at same time till your iPhone completely shuts down. Most of the time when you install a buggy app it can cause conflicts and make your iPhone unresponsive or stop working. If you are facing such problem after the installation an app then most probably that app is the culprit and there are high chances of fixing your problem by uninstalling the app from your iPhone. There is also good chance that your screen guard is causing issues if not installed correctly on the screen. You can also try removing your screen guard and checking if the problem resists. If gets normal on removal of screen guard then probably get new good quality screen guard and install it properly. When we are talking about factory restore iPhone, iTunes will definitely be the first choice to force restore iOS firmware. Before start, please make sure the iTunes on your PC/Mac is up to date to avoid unnecessary iTunes errors. Also, you need to disable the Find My iPhone feature. Step 1: Run iTunes and connect your iPhone with it. Click the device icon when detected. Step 2: Click Summary and choose Restore iPhone from the right panel. A message will pop up asking "Are you sure you want to restore the iPhone…" Click Restore to move on. Step 3: You iPhone will reboot with Apple logo and loading bar. After that, go ahead and set up your device. We have discussed why iPhone can become unresponsive, what are the main causes of such behaviour and what are the possible fixes to get rid of this problem. We have also listed our personal favorite tool which can be used to fix all sorts of iOS stuck issues with a single click.